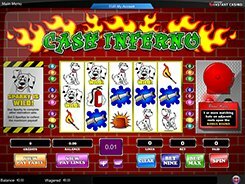 Cash Inferno is an enjoyable 5-reel 9-payline video slot powered by Amaya and themed around firefighting. Along with hydrants, burning matches, fire extinguishers and other theme related icons, the slot features a set of Sparky the Dalmatian symbols. By changing two wagering options, you may customize a bet within your comfort zone and make it as low as nine cents, as high as $225, or anywhere in between. The slot has a wild symbol represented by Sparky himself. 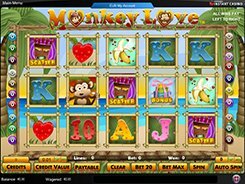 The wild stands in for other symbols, thus helping complete a winning combination, and pays out the slot’s biggest prize of 2500 coins (up to $62,500) for hitting five wilds on a payline. Another feature is a second-screen bonus game initiated by three identical Bonus Hat symbols landed on adjacent reels. In fact, there are three different Bonus Hats (a police headwear, a Rescue baseball cap and a fire helmet), all triggering the same bonus game, so there is no difference if you get three baseball caps or three helmets on the reels; anyway, the bonus round may bring you a decent win. PLAY FOR REAL MONEY!